Real Madrid are reportedly confident of sealing a £100 million deal to sign long-term target Eden Hazard, who could be ready to leave Chelsea. According to a report by Daily Mirror, Real Madrid are hopeful that they will finally secure the services of Eden Hazard in the summer transfer window. The reigning UEFA Champions League holders are even willing to splash up to £100 million to secure the services of the Chelsea superstar. Eden Hazard has been one of the most important players in the first-team squad at Chelsea ever since he made his way to Stamford Bridge from Lille in the summer of 2012. The onus on him has increased so much that in some of the matches this season, the Blues have almost been dependent entirely on him to inspire a win. 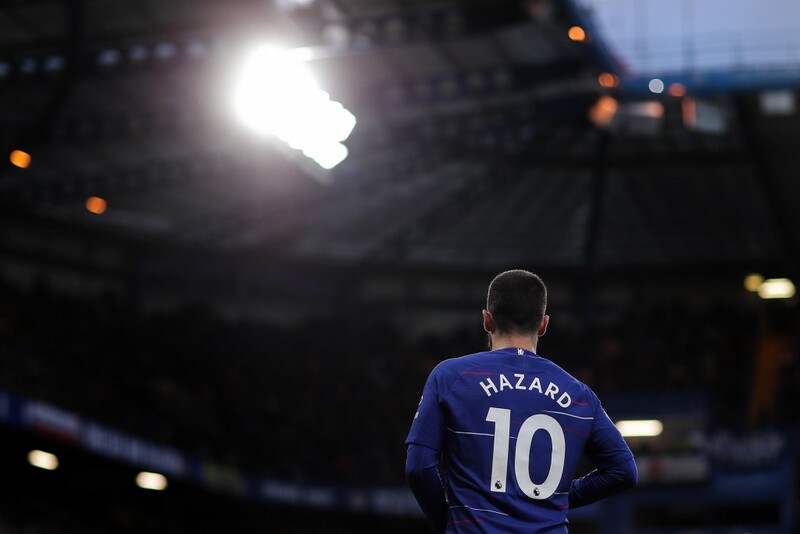 Unsurprisingly, Hazard is the most prolific player at Chelsea this season, with a record of 15 goals and 10 assists in 31 appearances leaving him set for his most productive campaign at the club. But, his performances have also attracted the continuous interest of Real Madrid. The departure of Cristiano Ronaldo has left Real Madrid shortchanged in terms of attacking options. Much like Hazard at Chelsea, Los Blancos have relied heavily on the returns of Vinicius Junior and Karim Benzema this season, which has set a dangerous precedent, invariably leading to the side’s struggles at different stages of the campaign. While Real Madrid have been much more consistent lately, they are still quite dependent on Benzema and Vinicius. With Gareth Bale and Marco Asensio not performing up to the required standards, the aforementioned links with the Belgian international are hardly surprising. The 28-year-old has also been courted by former Chelsea teammate Thibaut Courtois recently, who revealed that he has suggested Hazard’s name to the Real Madrid board. And, the report suggests that Los Blancos are now ready to make their move, with a bid worth £100 million in the offing. Citing Hazard’s recent comments in an interview with RMC Sport, wherein he insisted that he has “made a decision” on his future, the report claims that the player is ready to call it quits at Chelsea in favour of sealing his “dream” move to Real Madrid. Should the same indeed be the case, Chelsea are unlikely to stand in the player’s way, with Maurizio Sarri recently insisting that Hazard is free to leave the club, if he so wishes to do so. And, recouping a £100 million fee in exchange for Hazard’s services might just be an appealing prospect, with less than 18 months left on his current deal at Stamford Bridge. It now remains to be seen if Real Madrid are able to secure the services of Eden Hazard in the summer transfer window, as they lay down the plans to swoop him away from Chelsea, for whom losing the Belgian winger will be a bitter blow.